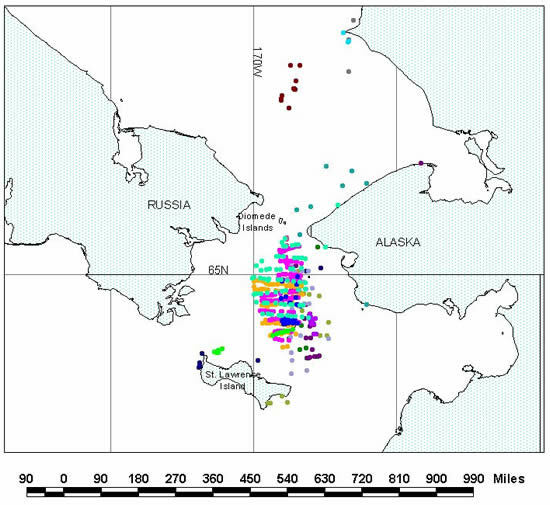 Return to essay: What is happening to whales in the Bering Sea? 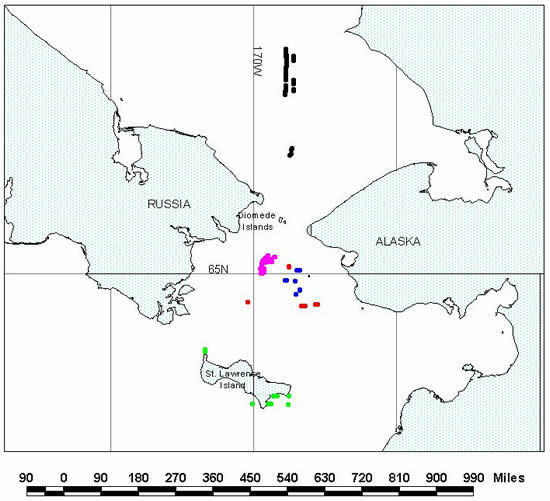 Maps depicting the Chirikov Basin and southern Chukchi Sea showing a composite of gray whale distribution during 16-31 July in the 1980's (historical), compared to sampling effort and whale distribution in 2002. 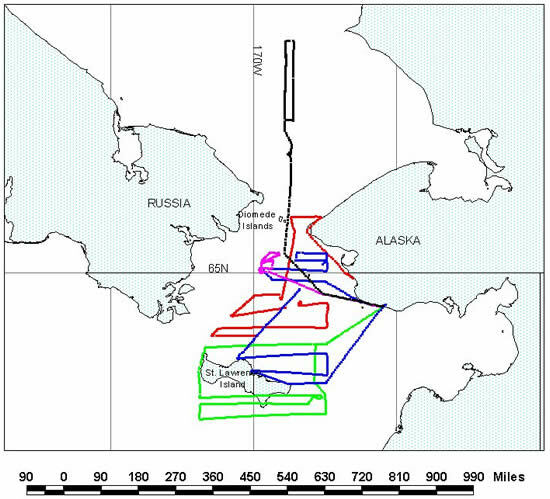 Colors indicate the specific days (16 total) when surveys were conducted and gray whales seen in years 1981-1985 (historical), and five survey days coded to sightings for 29 July - 3 August 2002 (maps prepared by Janet Clarke).